Cedar Knolls, N.J., June 12, 2017 – To help consumers more easily decide which grocery store products they can trust, BrandSpark International enlisted the help of more than 10,000 American shoppers for their annual American Shopper Study. 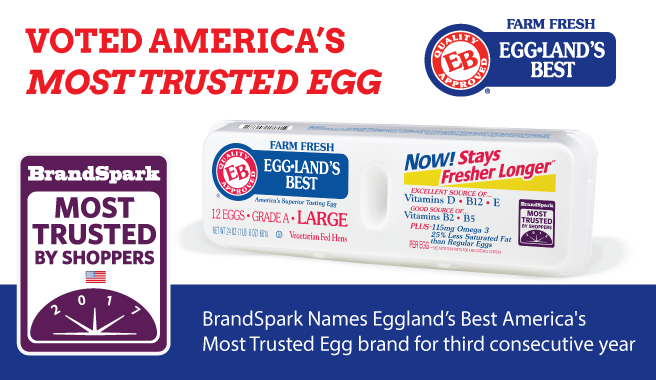 When it came to what egg brand consumers rely on, participants named Eggland’s Best (EB) as America’s Most Trusted Egg for the third year in a row. The BrandSpark Most Trusted Awards winner logo allows brands to clearly communicate the significant trust connection they have built with shoppers. 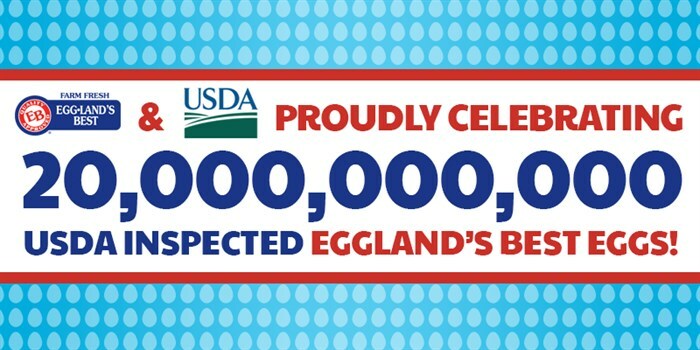 The U.S. Department of Agriculture (USDA) and Eggland’s Best (EB) mark a special occasion as they commemorate the 20 billionth USDA-approved Eggland’s Best egg. 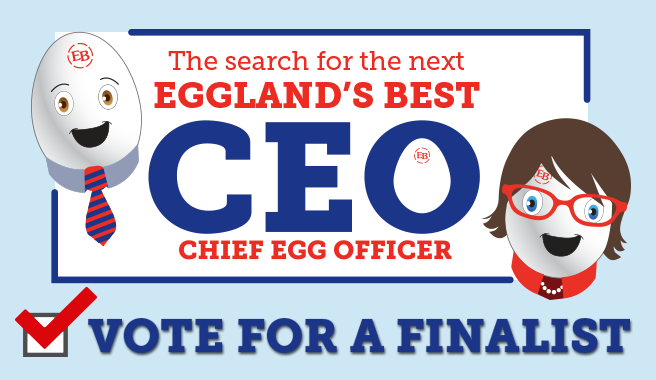 Eggland’s Best eggs are sold in all 50 states in supermarkets across the country. 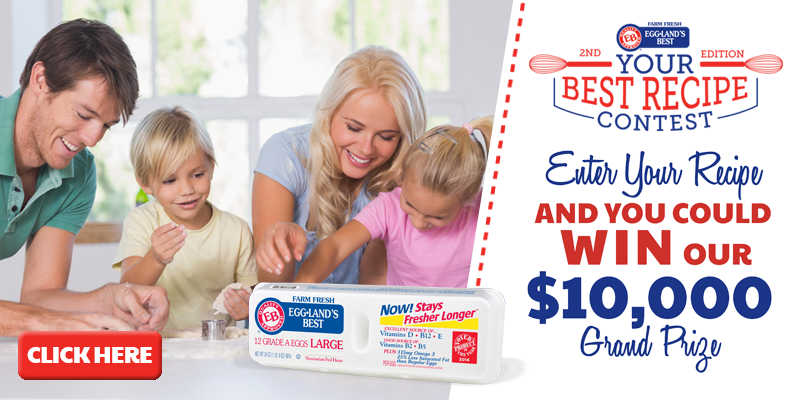 Eggland’s Best wants to know: What is “Your Best Recipe” using EB eggs? Is it your secret pie recipe? Your world-famous frittata? A melt-in-your-mouth soufflé? Enter it NOW in the 2nd Edition of the “Your Best Recipe” contest. Entries will be accepted from May 5, 2014 through July 31, 2014. One winner will be selected from each category and will be awarded $1,000! 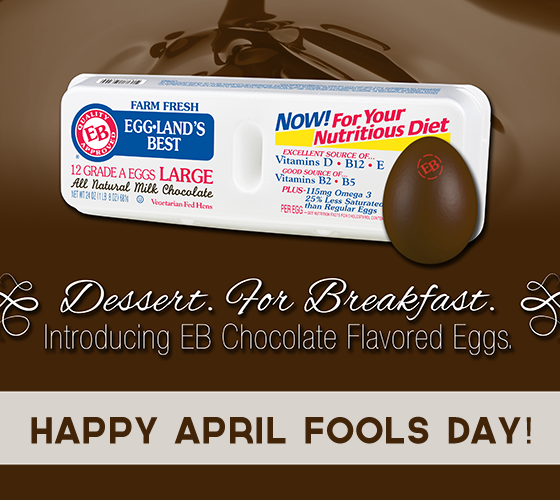 Eggland’s Best is excited to announce our new line of all-natural milk chocolate eggs. We couldn’t resist! Happy April Fool’s Day all. 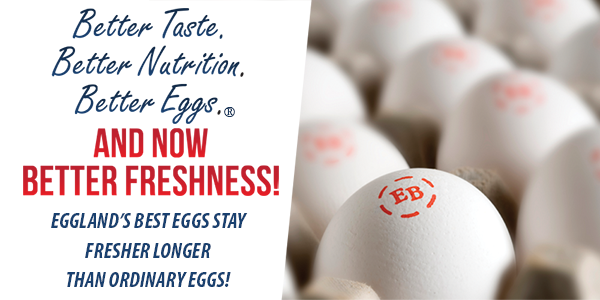 For information on our real eggs, click here. For the second year in a row, Eggland’s Best Organic eggs have been selected as a winner of Prevention’s 100 Cleanest Packaged Foods Awards. Eggland’s Best eggs come from hens fed a proprietary, all-vegetarian diet and are held to strict quality, freshness and nutritional standards. 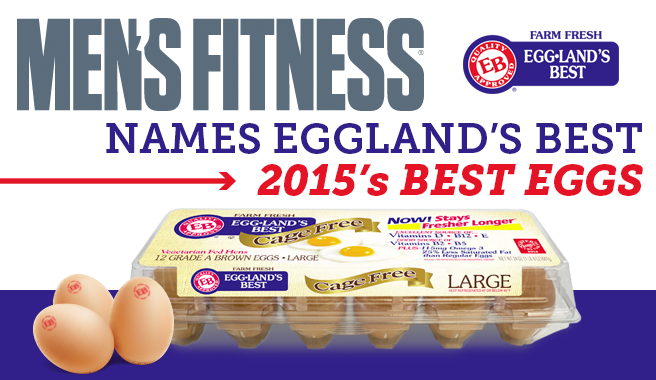 After more than 40,000 consumer votes, Eggland’s Best has been named “Best Egg” by Product of The Year USA. 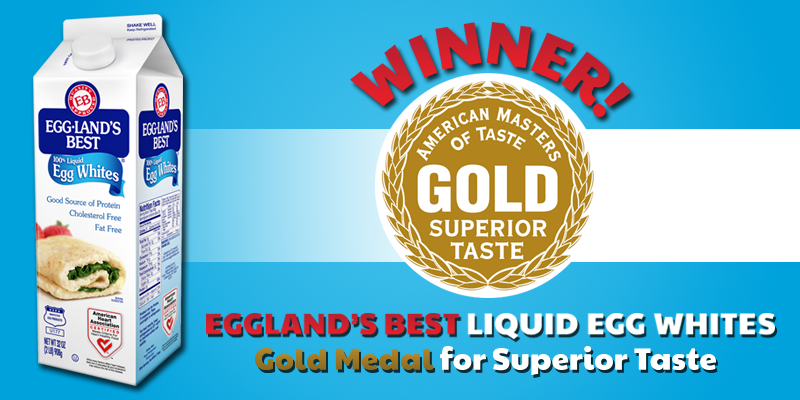 Eggland’s Best was selected as an American Masters of Taste Gold Medal Seal winner by Chefs In America for their liquid egg white variety.